Spurs Saloon Bar has a laidback atmosphere with a cool setting. It is decorated like the inside of a Western Saloon, complete with horse saddle chairs, wooden fencing, whisky barrel tables and corrugated iron roof on the bar. 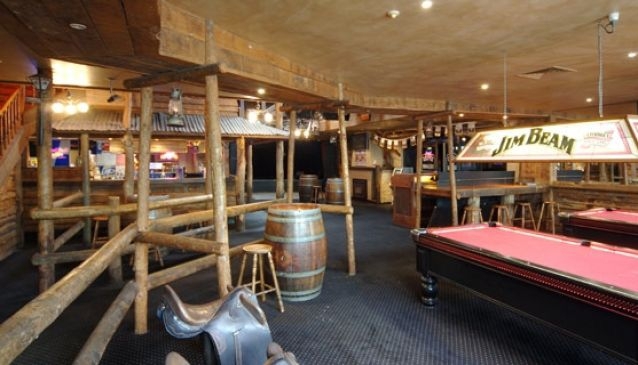 There are two large pool tables with red tops and Jim Beam low-level lighting, which all adds to the rustic feel. They have live bands and even a karaoke night. The Warehouse nightclub is more about dance music, having a great time and staying up all night. This attracts a more youthful crowd, as it pumps out music and does good drinks deals on most nights. It is the best known and most popular nightclub on the North West Coast of Tasmania and is always the destination for international DJ acts when they are touring Australia. They regularly have male and female models doing DJ sets and participating in wet-t-shirt competitions with the guests. This is all intense fun and is aimed at a young crowd. You can also buy membership to the Warehouse in order to get access to great deals and special promotions.